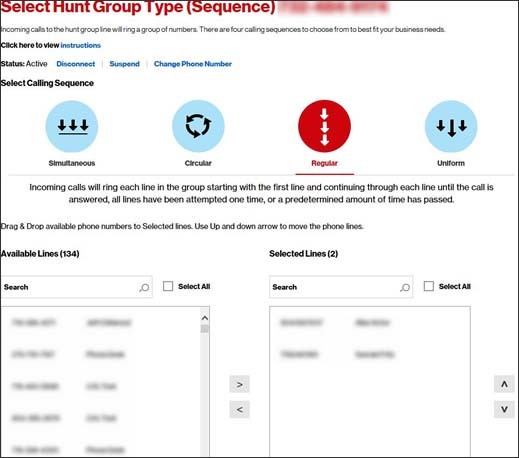 Incoming calls to a company Hunt Group line ring to a group of users as defined by the administrator. 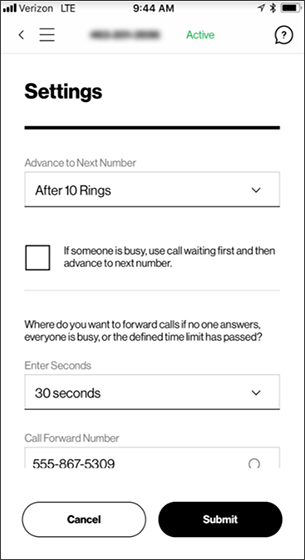 There are four ring sequences for the company to use. From the Hunt Group # column, click the preferred Hunt Group. 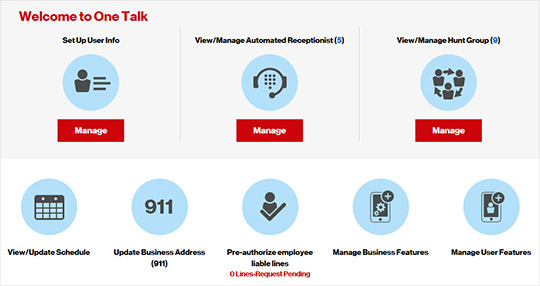 Configure the appropriate settings then click Submit. Select the group you want to view or edit, then tap the right arrow > (next to Hunt Group). 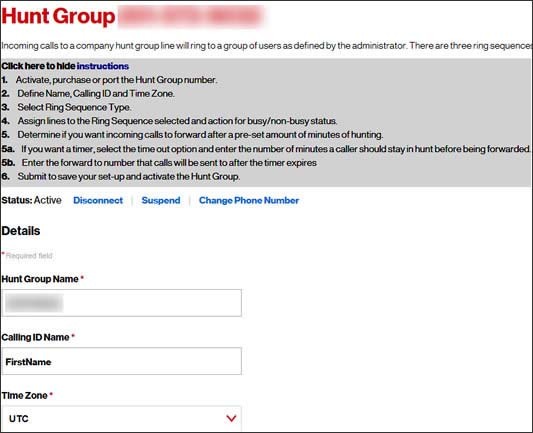 If more than one Hunt Group (HG) is on the account, select the appropriate HG. 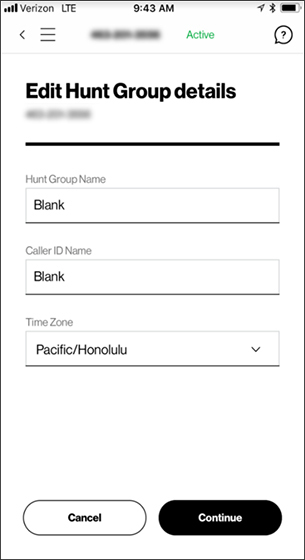 From the Hunt Group Name screen, tap Edit details. Edit the following settings as desired, then tap Continue. 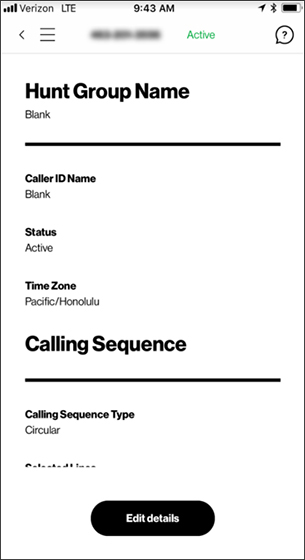 From the 'Select Calling Sequence' screen, choose the desired value from the Calling Sequence dropdown (e.g., Circular, Regular, Simultaneous Ring, etc.). 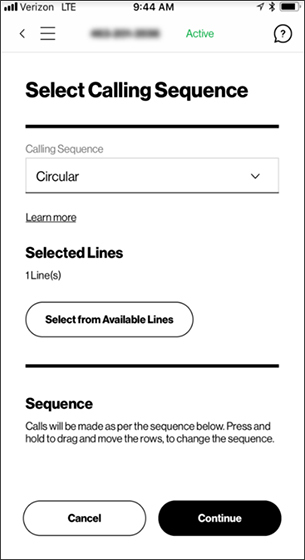 Tap Select from Available Lines, place the desired lines in the queue then tap Confirm. Tap Continue to proceed to the next screen.